Take a Hayride, Get Lost in the Corn Maze, Pet the Animals, Ride the Cow Train, Eat a fresh dipped Caramel Apple or freshly pressed Cider – Fall On The Farm has hours worth of farmyard playing fun in a beautiful country setting. Kids love Racing down the Giant Slide or burying themselves in the corn bin. The Corn Maze is 7 acres for the adventurous or there’s a 15 min Kids Corn Maze. Bring your Camera, there are dozens of beautiful family photo opportunities! Round Up Your Posse for Old West Fest! Back for its 11th year! Visitors will be stepping back in history to a time when famous lawmen like Bat Masterson and Wyatt Earp reigned, where gamblers such as Doc Holliday played faro and Boothill was a place you didn’t want to be at the end of the night. The permanent old west town is educational and fun for the entire family. 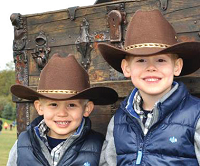 Young ‘uns can pan for gold, travel the frontier in covered wagons, on ponies or horses; riding the 19th century steam locomotive inspired Sante Fe Deadline, learn to lasso or shoot a bow and more. Historically accurate shows include saloon dancing shows, magic, storytelling and period music. Plus, stunt and comedy gun fight reenactments daily! 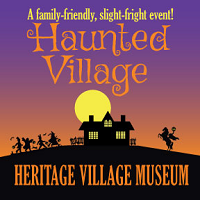 Heritage Village Museum will transform into a Haunted Village for a family-friendly, slight-fright event. 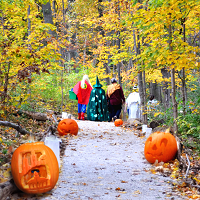 Our 19th century village inside Sharon Woods is the perfect setting for a spooky October evening! Trick-or-treat through the Village meeting a headless horseman, a witch, a fortune teller, and a mad scientist. Take a horse-drawn wagon ride. Walk through the haunted cemetery. Enjoy face painting, balloon art, games, and storytelling. Enter through Sharon Centre. 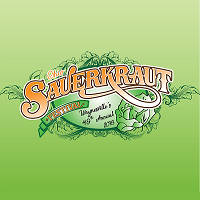 October 12, 13, 19, 20, 26 and 27 from 6-10 p.m. Entrance closes at 9 p.m. Admission is $10. Museum members and children under two are free. For more information, call 513-563-9484 or visit www.heritagevillagecincinnati.org. Open 7 days a week through Halloween, with Fall Family Fun on Saturdays and Sundays from 9am-7pm Hayrides from 11am-6pm. Every Saturday & Sunday in October features “Fall Family Fun” activities, which includes a pick your own pumpkin patch, hayrides, a free corn maze, farm animals, picnic area, free play area, and lots of photo opportunities! At Brown’s, we grow our own corn stalk bundles, Indian corn, squash, assorted gourds, beautiful mums, and of course, pumpkins in all shapes and sizes. Plus, don’t miss a full assortment of home grown apples, sweet cider, chewy caramel apples, Amish Fry Pies, bakery items and more! 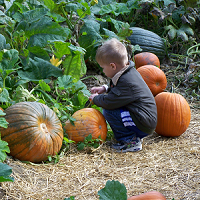 Families will delight in all that Sunrock Farm’s Pumpkin Patch Tours has to offer. Experience our two-hour guided tour where you will climb aboard the hay wagon for a hayride to the pumpkin field to choose that special pumpkin. Our tour is unique in that guides will lead you around the farm where you will have the opportunity to milk a goat, gather eggs, hold baby chicks and pet bunnies. You will also spend time with cows, horses, sheep and baby goats. Finish your visit at our farm store and have some free apple cider and cookies. Price: $12 per person. Reservations are required. 859-781-5502Cash only for tour and store. Children under 1 are always free! 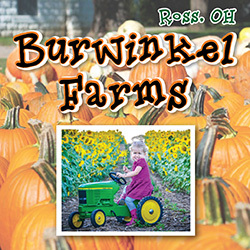 Join Burwinkel Farms in October for some Fall Farm Fun! 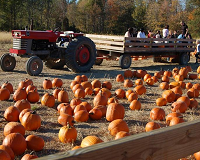 Enjoy hayrides to pumpkin patch, corn mazes, sunflower fields (when in bloom), punch-card maze, corn pool, straw tunnel, Halloween scavenger hunt, sensory station, plus much more! Reasonable prices and fun for everyone! Hayrides run Saturdays and Sundays from 10am-6pm (weather permitting) and we welcome scheduled weekday hayride groups of 10+. All other activities are open during normal business hours. Tons of homegrown pumpkins and other fall décor to shop for as well! 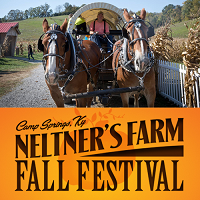 At Neltner’s Farm, autumn is the time for harvest & celebration, & we invite your family to join ours for the annual fall festival. There’s something for every one: horse-drawn wagon rides, model train display, corn maze, our pick-your-own pumpkin patch, petting zoo, pony rides, homemade food & ice cream, farm shop, crafters, pottery, face-painting, seasonal apples, live music & a barrel train! Bonnybrook Farms is your family’s fun destination. 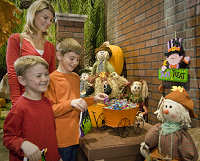 The pumpkin farm is a festival of color and activities. 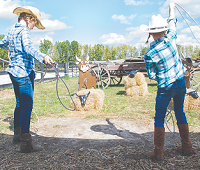 Pick and cut the perfect pumpkin from the pumpkin patch; take an adventure wagon ride with professional actors; find your way through the CrAzEd CoRn MAzE; pet and brush friendly farm animals and ride a pony; play a round of Clodhopper Golf or try your skills at giant slingshots and archery. Plus, delicious farm-cooked food and much more! It’s all family fun! Saturdays Noon – 7pm and Sundays Noon – 6pm. Join us for a weekend full of fun, charm, fabulous shopping, and fantastic food. Approximately 460 craft vendors from over 25 states bring their handmade goods to our small town of Waynesville. Filling Main Street and then some, these vendors, along with almost 60 food items will be awaiting your arrival. The Festival is more than just a weekend of fun and serves as a major fundraising event for many of the area’s civic and charitable groups. October 13th: 9am – 8pm & October 14th: 9am – 6pm. 50 Fun Activities for $5 or Less in Cincinnati Looking for something fun to do that won't break the bank? 25 Things to do in Cincinnati Over Spring Break Stay local this spring break!